When you’ve got a vacuuming job too big for a dustbuster but aren’t really feeling up to hauling around a full-size vac that you have to plug in, where can you turn? What are your options? Does anybody even care about your Goldilocksian ordeal? 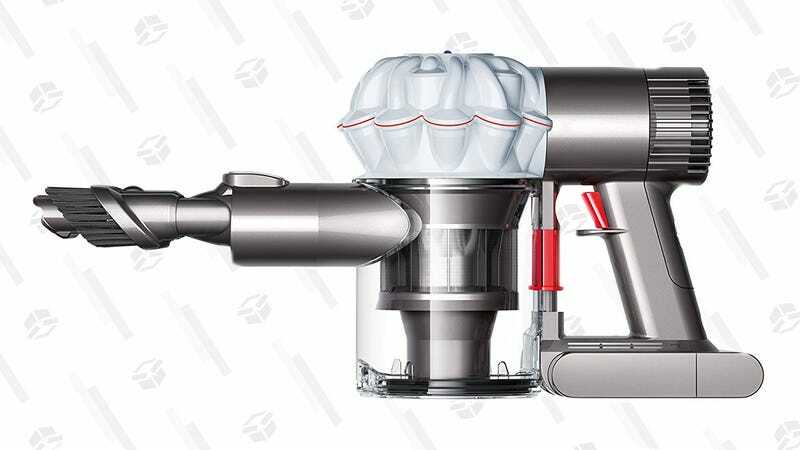 Dyson cares at least enough to make the V6 Baby + Child Trigger Handheld Vacuum. (It’s designed for use in nurseries, but nobody’s going to run a background check and make sure you have children when you buy it.) With attachments for crevices and upholstery, it can probably handle whatever reasonable cleaning demands you place on it. Just don’t get too crazy.